There’s a reason why everyone’s talking about iPads… they really can be used as assistive devices for people with disabilities. 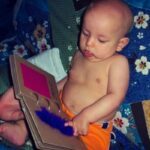 From GPS apps that help with Orientation & Mobility to high-tech communication apps that take the place of much more expensive equipment, the iPad is becoming the go-to device for children with special needs. Plus the iPad’s accessibility features are remarkable! 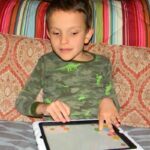 Yes, iPads really are accessible to users who are deaf or visually impaired (Check out this article for more about iPad accessibility). But even if the iPad is much less expensive then some other traditional assistive devices, that doesn’t mean they are necessarily affordable! If you’re trying to get an iPad for your child, but need help raising money for one, here are five tips that are sure to help…. On the other hand, if you just want to play with the iPad and use it to help teach your child about cause-and-effect or how to take turns (which is primarily how we use our iPad with Ivan), I’m sure the insurance company would turn you down. Your child’s need for the iPad should be very clear. Your child’s need should also be backed up by professionals. 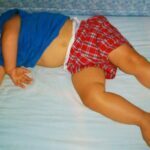 Following the communication example, you would want to have letters of medical necessity written by your child’s speech therapist, pediatrician, neurologist, behaviorist or any other applicable professional. 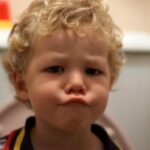 Include your child’s latest speech assessment and maybe even videos of your child using an iPad in therapy. You can also send along any article you’ve found related to using an iPad as a communication device (the more academic the article the better it will be received). Another place to go to for an iPad is your child’s school district. If you feel that your child would greatly benefit from the use of an iPad in school, then these are the people who should be funding the purchase. Of course, the iPad would then be technically school property so you’ll want to make sure that they will allow your child to use the iPad outside of the classroom, but that can usually be arranged (many schools send classroom laptops home with students and this would be a similar arrangement). In order to get a school to purchase an iPad (particularly one that is intended for one student’s use and not the entire classroom), you’ll have to follow the same steps you use to get a therapy or accommodation written into your child’s IEP. Begin by asking for an evaluation by a professional familiar with both your child’s disability and using an iPad. They may test your child’s response to a few different assistive devices and then report back on which ones worked best. Next, call a meeting to amend your child’s IEP and add in the need for the iPad as well as training with the device and the specific apps your child will be using (all to be provided by the school). This is also a good time to discuss when/how your child will be using the iPad (can it come home during the summer and winter breaks, for example) and have that all written in the IEP as well. As I’m sure you know, if it’s written down in the IEP it’s much easier to enforce! There are a many places that specialize in getting funds to children who need them. Applying for an iPad through these organizations is not a guarantee, but it’s worth a shot! First Hand Foundation: First Hand will help children with special needs fund assistive technology equipment (among other things) that isn’t covered by your insurance. They do have financial guidelines. Friends of Man: This nonprofit approves grants for kids and adults with special needs. They focus their efforts in Colorado, but will also work with families in other states as well. 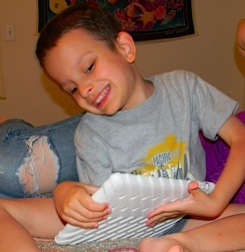 Danny’s Wish Foundation: Danny’s Wish grants iPads to kids with autism once a year. 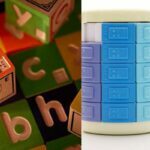 Friends of Jacob: This nonprofit approves grants for kids with autism in Michigan and can cover anything from therapies to iPads. 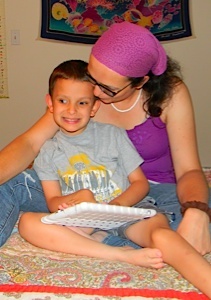 Let’s Chat Autism: Let’s Chat Autism sponsors an “iPad’s for Autism” grant. If you really want to get into it, you can also contact your local newspaper or radio/television station and see if they want to do a story about your child and your fundraising efforts. You’d be surprised how often they’re looking for a nice family story! So don’t give up and don’t despair! If you really, really, really want that iPad for your child, you can find a way to get one! Good luck!